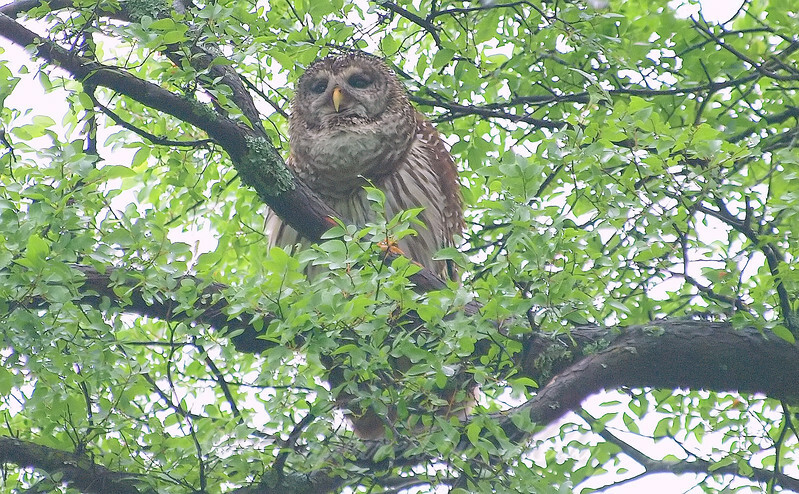 Papa owl was a few trees away, also with wet feathers. He was higher than she had been. It was overcast with dim light. He had his feathers fluffed up too, trying to dry off.